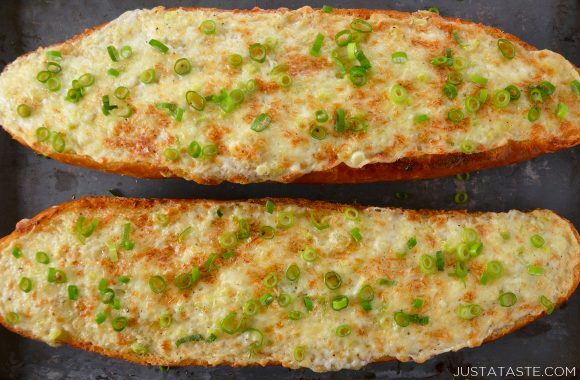 A surprising addition makes this recipe for Secret Ingredient Cheesy Garlic Bread the best loaf to ever hit your lips! If you’ve been with me here since Day 1 (way back in 2008! ), you’ll know that my mom, Noni, is the inspiration behind everything I do, both as a chef and as a mom. She is the ultimate blend of home cook-slash-superstar mother of three, and I can think of no better example of her dual superpower roles than the time she drove the carpool to my field hockey game while dishing out hot apples turnovers à la mode from the front seat while stopped at red lights. The woman served pastries and ice cream to a Suburban full of hungry middle school girls from the driver seat. Need I say more? Noni can do it all. This recipe is just another one of her creations that transforms an ordinary dish into something so spectacular you wonder why you ever made garlic bread any other way to begin with. 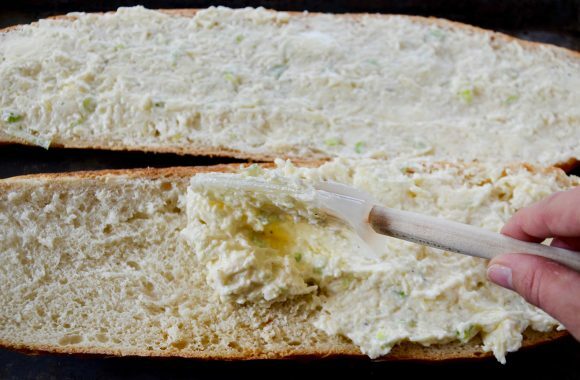 This isn’t your average garlic bread. It’s made with a secret ingredient that’s the key to the creaminess. I love pairing this cheesy garlic bread with any of my go-to pasta dishes or serving it next to a big salad. How would you serve it? 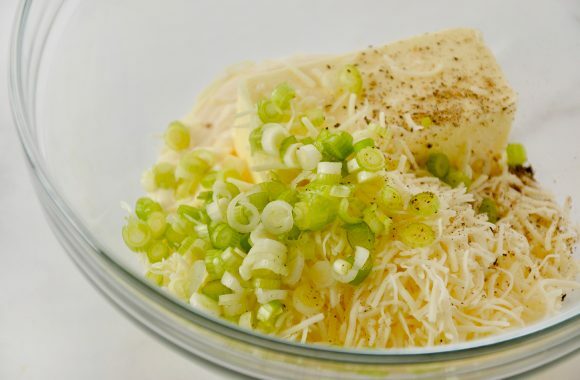 In a bowl, combine the softened butter, Asiago cheese, Monterey Jack cheese, mayonnaise, sliced scallions and minced garlic. Stir until combined. Slice the loaf of bread in half lengthwise then spread both sides with the cheese mixture. Bake the bread for 7 minutes then place it under the broiler just until golden brown, about 3 minutes.